But he didn’t have much time to think about it. On October 15, when the IDF gained the momentum at a terrible cost, the 55th Paratroopers Brigade was about to cross the Suez Canal. 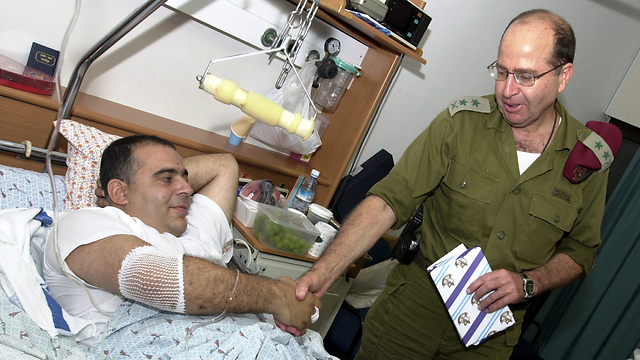 Ya’alon made a promise to himself that night that if he returned alive from this crossing, he would reenlist in the IDF and take the officers’ training course—which, as history now tells it, brought him all the way from the canal to the IDF chief’s office.But at the end of that war, something in Ya’alon also broke. “I returned from that war and, for the first time, experienced a crisis of faith in the leadership. I realized that we can’t count on anyone; that if we were caught by surprise like that, someone didn’t do his job right. 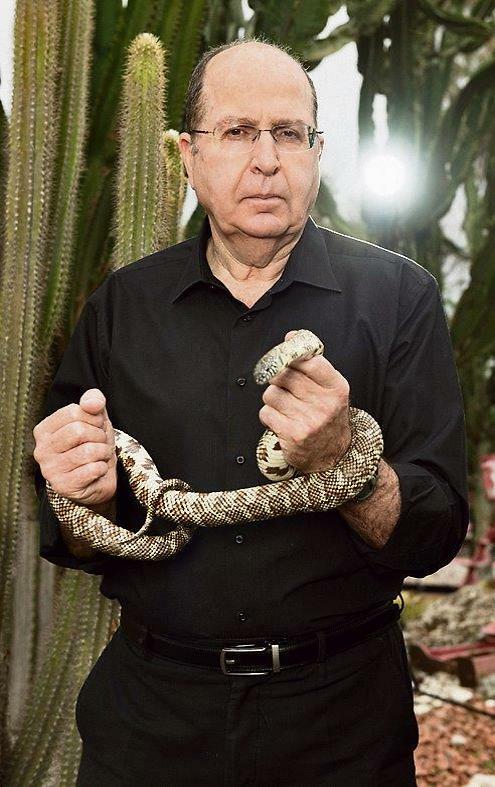 The past few months have been particularly hectic for the 66-year-old Ya’alon. The door of the offices he is renting on Tel Aviv’s HaBarzel Street boasts the sign “Alternative Leadership NGO,” but those who attend his living room political meetings and other gatherings up and down the country have no doubt: When he’s talking about an alternative leadership, he’s talking about his own leadership. 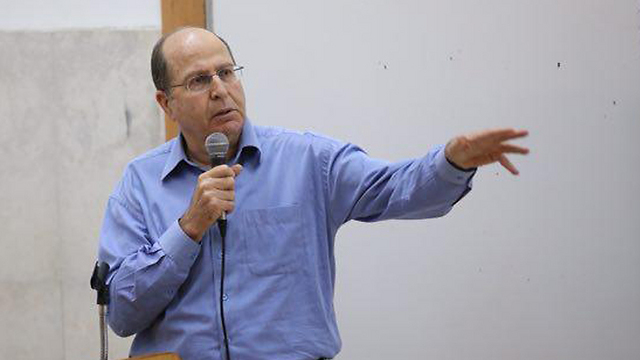 Ya’alon doesn’t rule out joining forces with other major political players—and he did get quite a few offers—but at the moment, this is his time. One poll predicts you four seats in the Knesset. Another poll has you not even passing the threshold. What are you hearing from people? What about politicians from the Likud party? “In my last few months as a minister, I couldn’t sleep. 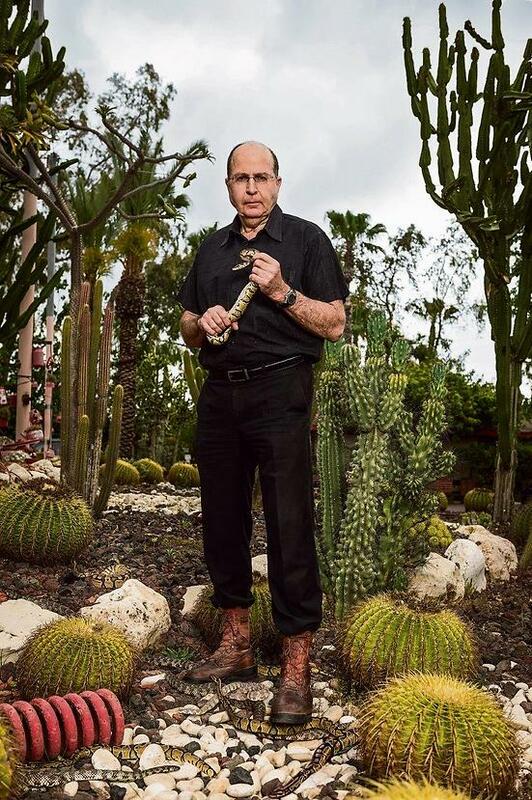 And it wasn’t because of Iran,” Ya’alon confesses. “It was because of the internal issues, which got me into clashes with others: The corruption, the media, the discourse of hate, the status of the courts. The soldier (Elor Azaria), an issue that came up near the end (of my time as minister), could very well have been the result of all of the other conflicts. “It was hard for me, because I thought leadership should unite. 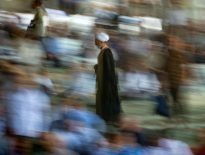 On election day, when I heard (Netanyahu’s warning) that ‘Arabs are going to the polls in droves,’ I was horrified. I know Israel’s Arab citizens, and they are undergoing a process of Israelization. I told myself: This is not a comment made by a leader, this is a comment made by a politico. It sounds like (current Defense Minister Avigdor) Lieberman, who emboldens Hanin Zoabi, and Zoabi emboldens him with a discourse of hate. But it’s not the kind of language befitting the Likud party. You didn’t come out against this at the time. “I could only talk to Benny Begin about this, because there are those who understand and think like me in the Likud party, but they don’t dare speak out. Fear rules there. There are young MKs who joined the Likud—some of them excellent parliamentarians—who all of a sudden take on radical positions so they would be reelected, and so they won’t be perceived as ‘leftists.’ All of a sudden, Benny Begin and I are considered ‘leftists.’ Something bad is happening in the Likud party. “So the term started, and I noticed the prime minister was not setting any limits. In party meetings, when people attacked my insistence on maintaining the rule of law in Judea and Samaria, no one defended me. The only one who defended me was Benny Begin. So I realized I was becoming more and more alone. “At the time, I was dealing with issues like the demolition of two structures in Beit El, which were built illegally on private land, and there was no decisive statement made by the leadership. I said, ‘If this is against the law, let’s demolish.’ I found myself on the other side of the divide. And here I ask, again, where is the prime minister to put an end to this? Is he going to let these guys—(Bezalel) Smotrich and (Oren) Hazan—play their game, while I have to deal with this alone? So why didn’t you resign immediately, at the beginning of the term, when you realized this was the situation? On a personal level, when did you start feeling a change in Netanyahu’s attitude towards you? “I cannot talk about it, because it’s still under investigation, but there are definitely things the public doesn’t know. Not just about the submarines, but about the other naval vessels. It’s the entire thing. I have a lot to say about it, and things will become clear in the future. There is no doubt this issue was part of what came between me and Netanyahu, but even before this investigation there were serious disagreements between us. For example, we clashed over his demand to shut down Army Radio. I put my foot down, but it kept coming up in our meetings. “His demand was unequivocal: He told me ‘close the station,’ and I said ‘no.’ He is obsessed with the media. Look at what they’re doing to the media today: They’re either corrupting it, or enslaving it by turning it into a propaganda machine, or delegitimizing it. I told him a few times: Do you not have enough influence over the media? You have your own newspaper, there’s more of a variety of voices being represented in all stations now than there used to be. This is an obsession. 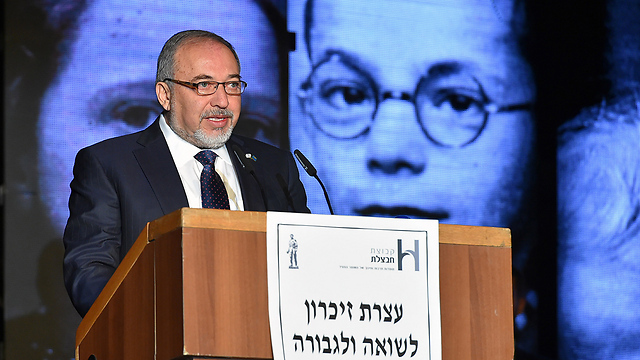 What did you think about MKs David Bitan and Miki Zohar’s behavior towards bereaved families ? The chasm between Ya’alon and the prime minister was filling with flammable fumes, and all it took to set it off was a match. Or a gunshot. But rather quickly Ya’alon found himself facing many ministers, among them the prime minister, who did not quite share his opinion. Do you think you spoke too soon? “I don’t regret anything I said. Let’s put things in order here: the incident happened Thursday morning. It was obvious to everyone in the field that it’s an unusual incident, abnormal. An investigation was then done by the Kfir Brigade commander, and it became clear that it was a deed that should never have been done, outside the law, opposed to our values. “We got the investigation’s results at 1:30pm, and by then the video (of the incident) was already out, and we understood the danger of escalation in the territories following its release. Why? Because the Palestinians are telling a blood libel against us—that we execute without trial—and the video serves as proof. For that reason, we agreed that we must denounce the act, and so should the prime minister. And so, in the afternoon, we did just that; the prime minister, me and the IDF chief of staff. “By evening, I had already realized that this was going to be politicized. Slowly, I started getting information that (journalist and former MK) Sharon Gal went to the (Azaria) family’s home, along with many other people who offered to represent their son in court, and the family fell for it. They didn’t understand back then, and I’m not sure they even understand today, that they were being used for a political spin. 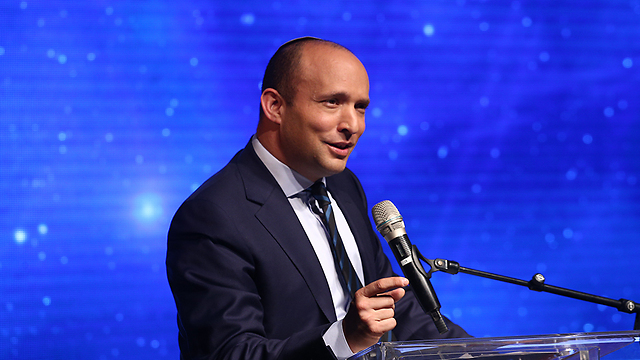 “On Friday, Bennett saw the political potential (in the incident) and wrote a post on Facebook, asking why the prime minister, the defense minister and the chief of staff are not backing the soldier. If he really wanted details of what happened there, he could have just asked me for them. “On Monday I got to the Knesset and didn’t even think about commenting on the subject. But people started criticizing: why are we not backing the hero soldier? Echoing the words ‘hero soldier’ again and again. So who was going to defend the military’s integrity at that point? Should I—of all people—have kept silent? “Well, that didn’t help much, of course. 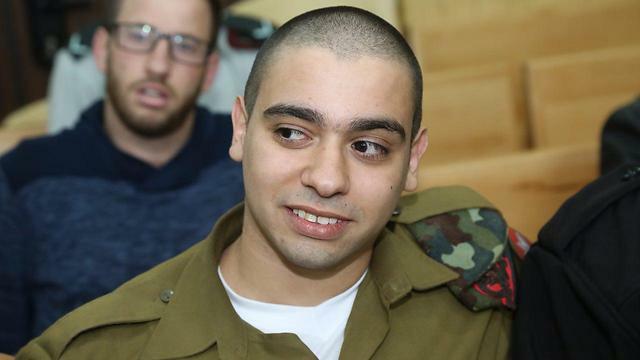 Then, when his remand was extended by a week, Lieberman, along with (Moshe) Feiglin and Oren Hazan, started stating ‘he’s innocent, he’s innocent,’ and causing a commotion. “And then I, as the defense minister, had to defend the military court. I said ‘ladies and gentlemen, the one who determines the rules of engagement is the chief of staff, and not the mobs.’ And that’s it. I made no further comments on the matter. Where you ever present at an execution of a captive? “That you can deceive it—not just part of the public, most of it—for a long time. Incitement is easiest to digest. 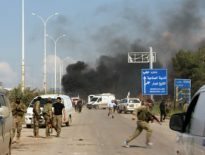 It’s a cynical political exploitation of the human need for safety, using hate of Arabs and leftists. They put the soldier against the terrorist. Of course the public is going to back the soldier. But it’s not really about the soldier against the terrorist; it’s about the soldier against the IDF’s values, against the orders of his commanders, from the chief of staff to his platoon commander. But it’s easy to incite to nationality and racism. That is the danger here, and that’s where we need true leadership, which does not exist today. How did this affair affect your relationship with Netanyahu? “In the end, it was another incident in which both of us were on opposite sides. After that, there came a moment when I realized—and this was just before I resigned—that he was trying to offer my position to others. Before it was offered to Lieberman, he offered it to Herzog, who didn’t want it. I was told that (Herzog) told Netanyahu, ‘you have an excellent defense minister, I want to be the foreign minister.’ That’s when I realized that he was trying to get rid of me. That was the moment when I realized that I hit a dead end. What do you have to say about the allegations against Netanyahu? “It’s sickening. There is a level of corruption here that became the norm. Greed and hedonism is blinding people. I was there; I know what the temptations are. You walk among world leaders, see people who are extremely wealthy. It doesn’t really appeal to me, but there are apparently people who are taken by it. 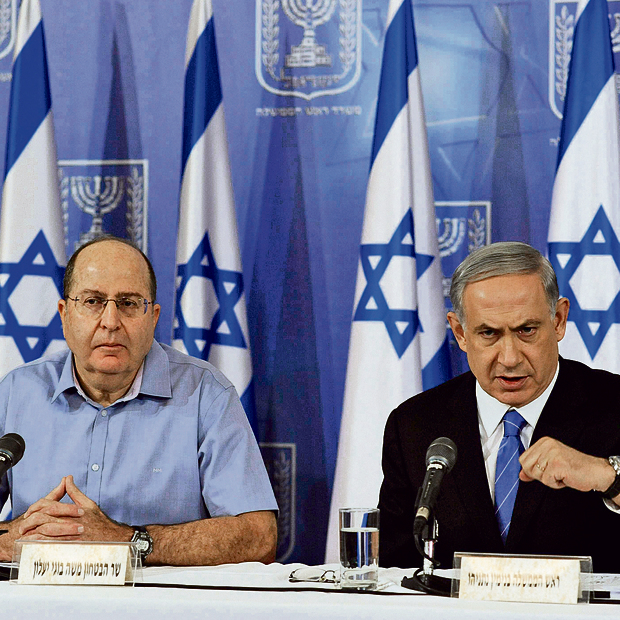 As if all of this wasn’t enough, after his resignation, the state comptroller’s report on Operation Protective Edge was released—and Ya’alon did not come out unscathed. The report pointed to him, alongside Netanyahu and former IDF chief Benny Gantz, as the ones who were responsible for the fact the tunnel threat wasn’t recognized and handled properly. “They look at the operation only through the lens of the tunnels and the decisions made about them. As if there wasn’t an entire military campaign surrounding it. 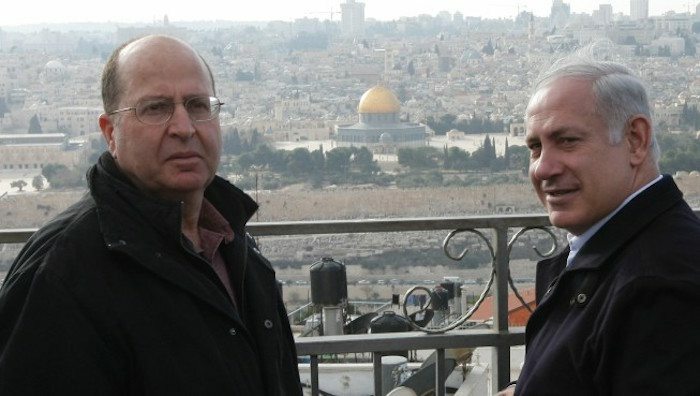 There are a lot of elements here being ignored,” says Ya’alon. The report noted that discussions at the Security Cabinet about the subject “did not fully reflect the severity of the threat of the tunnels, as it was known to the prime minister and the defense establishment.” What is your take on it? “Of course I presented the subject to the cabinet, but there are sometimes things that you know but not aware of. When the Israeli public sees Hamas militants come out of the ground, they become aware of the threat. But was I never in tunnels before? Did we not train for them? “What is the point of creating this illusion that it is only a matter of making a decision about it and the problem would be solved? The Americans have the same problem with Mexico, and they haven’t managed to solve it either. So what are your conclusions from the operation? “Before Operation Protective Edge, Hamas found itself in a dire financial situation, with no money for the public sector—for teachers, doctors or even clerks. I saw that and tried to come up with a solution so that innocent people could make a living. I managed to formulate such a plan with the United Nations Special Coordinator for the Middle East, Robert Serry, with the help of Qatar that was willing to pay the salaries. Unfortunately, Lieberman, who was the foreign minister at the time, torpedoed the plan out of his own personal considerations. He wanted to make Serry a persona non grata, and Netanyahu supported his stance. What happened at the security cabinet during the operation? “There were ministers who saw it as a political opportunity. They built the narrative about the tunnel threat, and selectively leaked from the meetings. In this cabinet, all discussions are heated, and the problem is that anyone who is more impassioned is supposedly more patriotic. “You don’t get Facebook ‘likes’ when you provide the Palestinians with water and electricity. You get ‘likes’ for slogans: ‘We will destroy Hamas and take control of the strip.’ But reality is more complex, and that’s what managing a responsible and measured policy is about. Now, Ya’alon is independent, going up and down the country from one meeting to another, believing that even in the age of Facebook ‘likes,’ there is no replacing face-to-face conversations. Everything he has been doing appears like he is establishing a new political party, but he hasn’t labelled it as such yet. Why aren’t you announcing your new political party? Is it true that you are trying to recruit several former senior army generals? What is your party’s agenda going to be? In light of everything you said about Netanyahu, could this party work with him? It has been 50 years since the Six-Day War. In retrospect, was it good for us? With Israel celebrating its 69th Independence Day, are you optimistic about the future of the country? “Yes, and my optimism stems from the ability to compare what we have today and what we had in the time of my grandparents, who were murdered in the Holocaust. I’m convinced that before their deaths, they did not believe that, in a few years, an independent Jewish state will rise and will have its own army, and that their grandson will be its chief of staff. We were able, in a wise and clever way, with knowledge, spirit and care, to protect our national Jewish home, and develop it.